Enabling globalization, one passenger at a time. Having an international footprint that cover the world’s major countries and cities, global airlines are the true promoters of globalization. In addition to being a highly competitive industry with growing operational expenses, airlines must also provide quality multilingual content to meet the requirements of a diverse international customer base. To facilitate the creation and deployment of multilingual content for the airlines, CSOFT has developed streamlined solutions to automate website translations, terminology management, and in-country review for improved language quality and consistency. The development of emerging markets presents aircraft manufacturers with an important growth driver in the new millennium as countries such as China, India and Brazil demand more planes to meet the travel needs of a rapidly expanding middle class. As such, aircraft manufacturers must localize aircraft safety instructions, operational manuals and training materials to meet the requirements of a multinational staff and local regulations. CSOFT has the process, linguistic resources, and aviation subject matter expertise to help aircraft manufacturers cross language barriers with ease. Whether it’s the control, monitoring, communication, navigation system, weather or anti-collision systems, we can help you translate the user guides, software systems, operational procedures and training materials into your required languages for optimal operation of these advanced equipment for both safety and international regulatory compliance. 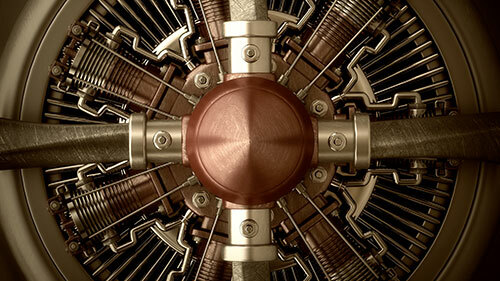 The aircraft engine is one of the most complex pieces of aviation equipment that requires a substantial amount of localized user documentation and training materials for global deployment. Whether it’s your technical user manuals, software systems, legal contracts, marketing literature and training documents, trust CSOFT to provide highly accurate translations in 100+ languages and 24×7.